It’s important to keep up with maintenance on your vehicle to ensure it runs smoothly for years to come. One of the biggest priorities when servicing your car is making sure you get scheduled oil changes. The question is: How long does an oil change take? At Toms River Volkswagen, we have the answer. We talked to the expert technicians at our service center to find out how long an oil change takes. Whether you’re from Toms River, Brick, or Freehold, you’re going to want to read on to learn all about oil changes. Schedule a service appointment today to have your oil changed! There are several signs you can look for to see if it’s time for an oil change. Here are a few to keep an eye out for. Oil Change Light: If this light switches on—pay attention. It’s usually the first sign you need to schedule an oil change. If the Check Engine light comes on, this could be a sign to check your oil levels, too. Oil Smell: Do you step into your car and notice the smell of oil? That is often a sign that there’s a leak, and that your oil levels should be checked sooner rather than later. Banging Noise From Engine: If it sounds like your engine is shaking and banging around inside your car, take notice. This is often a sign that something is off with your oil levels, so be sure to contact your service center if anything sounds a little off. 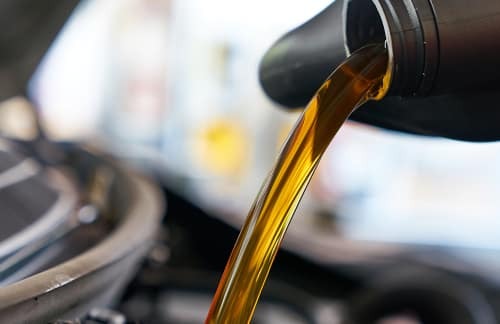 There are a few steps you can expect during the process of an oil change, so read on to learn about what happens to your vehicle when you bring it in for service. Check Levels: Your technician checks the fluid levels in your car, and looks at the quality of the oil still in your vehicle. Oil Drain: The technician then removes the oil pan from the car, which allows all the old oil to leave your vehicle. Filtering: Next, the oil will be filtered to remove any impurities or other materials that could negatively impact your vehicle and its performance. The filter is then replaced with one that is lubricated and ready for action. Replace Oil: Finally, it’s time for the new oil. 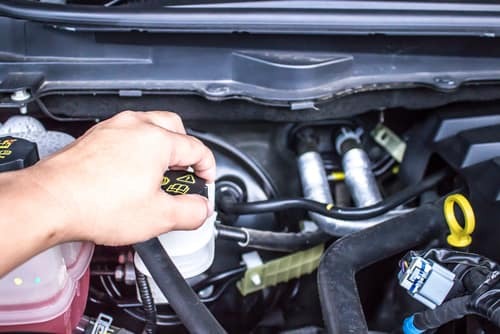 Your technician will fill the car with fresh oil, check that everything is back in order and running smoothly, and then, you’ll be ready to go! Provided there are no other aspects of your vehicle that require attention, an oil change is relatively quick. The average wait time for an oil change is anywhere from 15 to 45 minutes—so you can be in and out in a flash, with your car operating in great condition. In fact, oil changes are generally so quick that some people like to bundle them with getting other services done on their vehicle at the same time. You can get your oil changed and your tires rotated in the same appointment, so you spend more time driving your car and less time waiting for your service appointment to be completed. Now that we’ve answered your questions regarding how long an oil change takes, it’s time to visit our service center and see our quality care firsthand! Our team will work quickly and effectively to get your oil changed, so you can get back on the road in no time flat! Whether you’re driving through Brick, Toms River, or Freehold, your vehicle is going to need regular oil changes to maintain peak performance—and we’re on hand to help.